The utterly chaotic, complicated and heartbreaking saga surrounding the removal of over 100 tigers who once posed for photos with tourists at Thailand's "Tiger Temple" isn't over just yet. The tigers, who were transported to government sanctuaries in late May after wildlife officials secured a warrant, are the victims of an escalating controversy steeped in wildlife trafficking allegations, tiger mistreatment and abuse. Yet, there's a possibility that the tigers could return to the temple in the future. 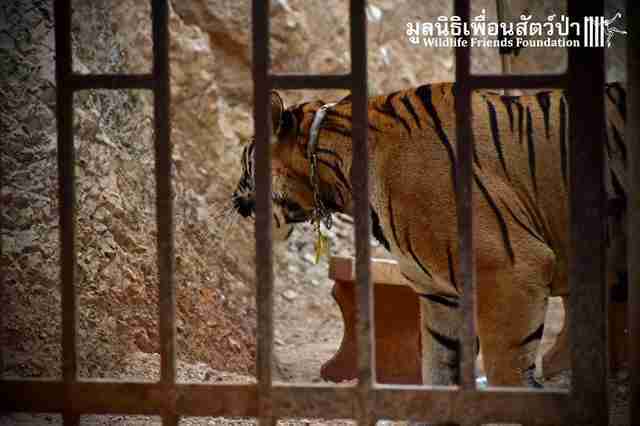 In April, Tiger Temple was granted a zoo license by the Thai government - a license that can only be revoked if the temple is found definitively guilty of wildlife trafficking, National Geographic reported. If the charges filed against the temple fail to result in convictions, then the temple would have legal clearance to purchase back some of the very tigers who were seized. However, it's difficult to imagine that the latest allegations brought against Tiger Temple won't result in some sort of definitive legal action, between the discovery of frozen tiger cubs and the uncovering of a suspected tiger slaughterhouse located not far from the temple. 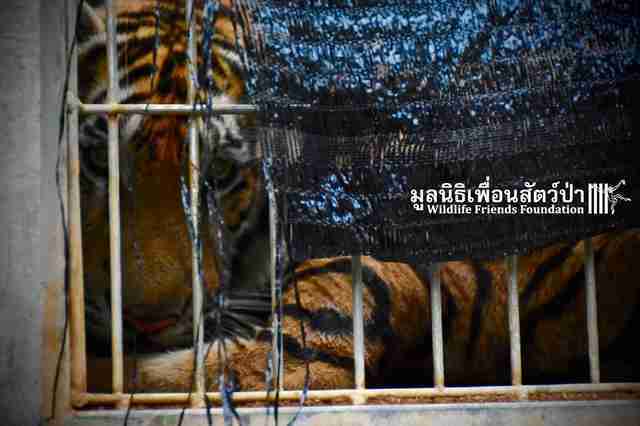 But representatives from the temple told BenarNews that the temple plans to sue the government for the removal of the tigers, claiming that the seizure of its tigers was illegal. 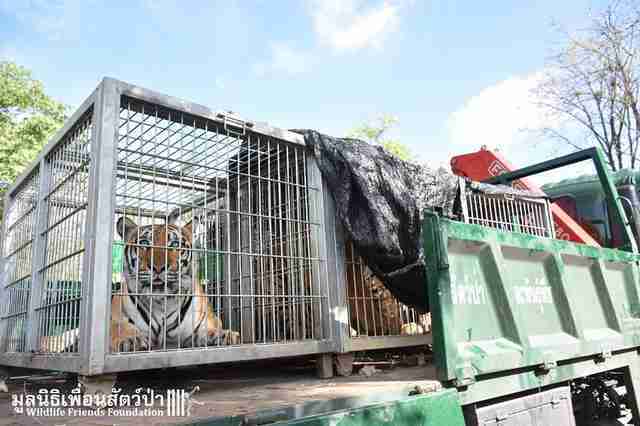 In a recent press conference, the temple denied mistreating, abusing or trading its tigers. Yet, in an exclusive interview with CNN, the temple's abbot, Luang Ta Chan, reportedly declined twice to answer questions directly regarding the alleged trafficking of live tigers and tiger body parts at the temple. Representatives of Chan have also placed blame on the temple's staff, rather than the abbot himself. Police are currently gathering witness testimonies and evidence and are waiting on tiger DNA testing results before bringing in Chan for questioning, the Bangkok Post reported. So far, officials have found a mound of evidence during their investigation, including preserved tiger parts, tiger skins and tiger fangs within the compound of the temple. Three temple were also caught attempting to flee with the shocking items. "The denial of trade by them is absolutely unbelievable," Edwin Wiek, founder and director of Wildlife Friends Foundation Thailand (WFFT), told The Dodo. "Some baby tigers were bottled in formalin, which is surely for scientific purpose, however, the ones that were found in wine and vinegar are absolutely for consumption, in our opinion," he said. "The same we feel about the skins that were found and the 1,300 amulets of tiger teeth, bone and skin." Tiger bones have a special value in Asia, as they're the main ingredient for tiger bone wine, a "potion" that is believed to make its consumers strong and virile. Furthermore, there are three adult tigers who are still entirely unaccounted for in the aftermath of the temple raid - and according to WFFT, they're dead. "The three tigers that were missing have never been found, and will never be found alive," Wiek said. "Our informant claims they were killed at the temple and sent to a client in Laos. Our informant is highly trusted." 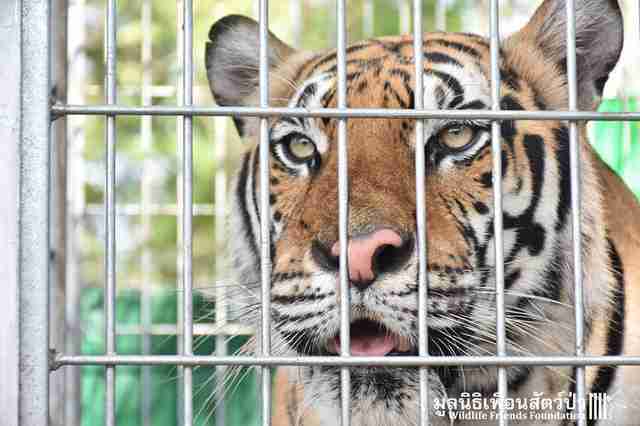 So what's next for the future of captive tigers in Thailand? More investigations that will hopefully lead to more decisive rescues and a curb in the tiger trade. 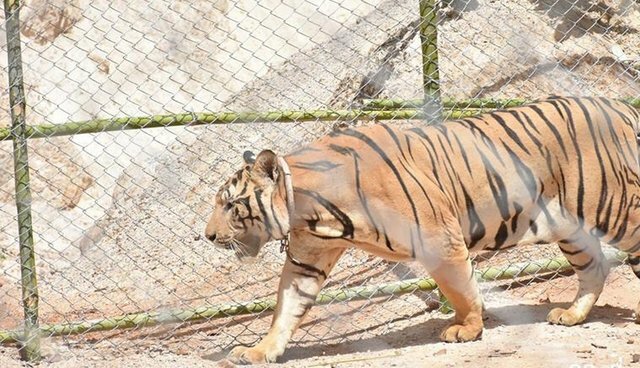 Adisorn Noochdumrong, deputy director general of Thailand's Department of National Parks, Wildlife and Plant Conservation (DNP), said that all tiger farms in the country will be inspected for possible involvement in tiger trafficking, Indian Express reported. Tigers are an endangered species and their estimated global total in the wild stands at 3,200, with a jarring 7,000 estimated to be in captivity in China, Laos, Thailand and Vietnam, according to the Environmental Investigation Agency (EIA). Tiger farming in these countries is a "major concern" Shruti Suresh, EIA Wildlife Campaigner, told The Dodo previously. Tiger body parts in Asia are particularly valuable for their use in traditional medicine. 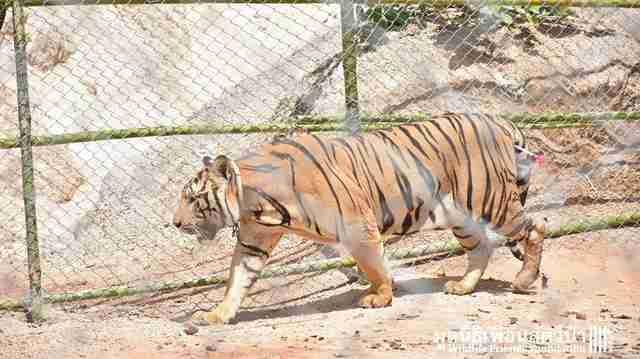 "Several of these facilities are implicated in tiger trafficking," Suresh said. "If we are to save the last remaining wild tigers, we need to end all trade in all tiger parts and products urgently, and this includes ending trade in captive tiger specimens." Click here to learn more about how tigers are caught the crossfire of illegal trading and how you can help them .